It’s that time of year where the cold weather is definitely sticking around for a little while longer but spring will soon arrive and bring with it the temperamental weather that makes dressing for the outdoors a nightmare every morning! 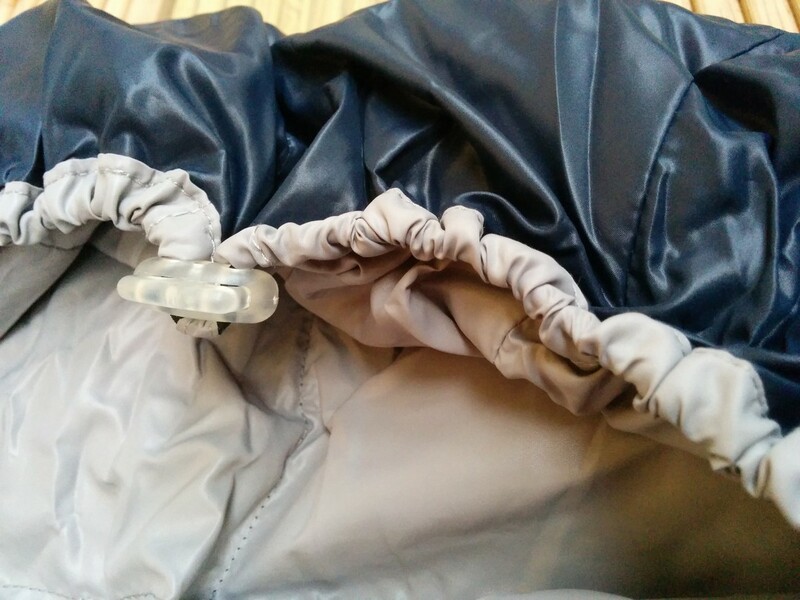 When we discovered the 7am Enfant Cygnet Cover this all changed – this versatile 3-in-1 lightweight cover can be used with a baby carrier, stroller and car seat and means that you don’t have to overdo the layers in the morning anymore. From Sunday strolls to car journeys, this is our must have piece for the change in seasons. 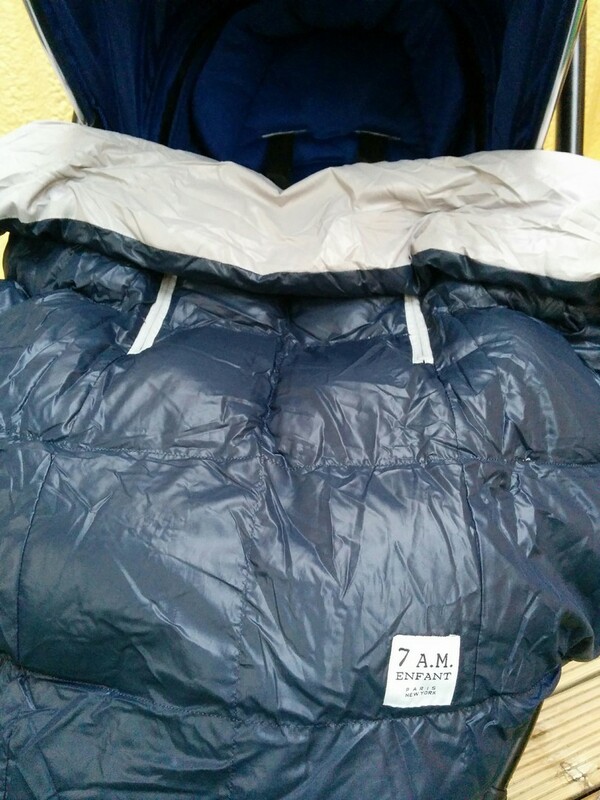 Unlike the traditional blanket the 7am Enfant Cygnet Cover easily stays attached no matter your mode of transport as it has an elasticized bottom that will secure around just about any brand of carrier, pushchair or car seat. It also comes with elastic hook and loop straps with Velcro to ensure it stays in place and continues to provide protection for your little one all day long. The 7am Enfant Cygnet Cover is designed to protect against wind, rain and cold temperatures and surrounds baby to create a cocoon-like environment – it even has a large front flap which can gently cover baby’s head to make them feel a little more snug and keep out the nasty weather. 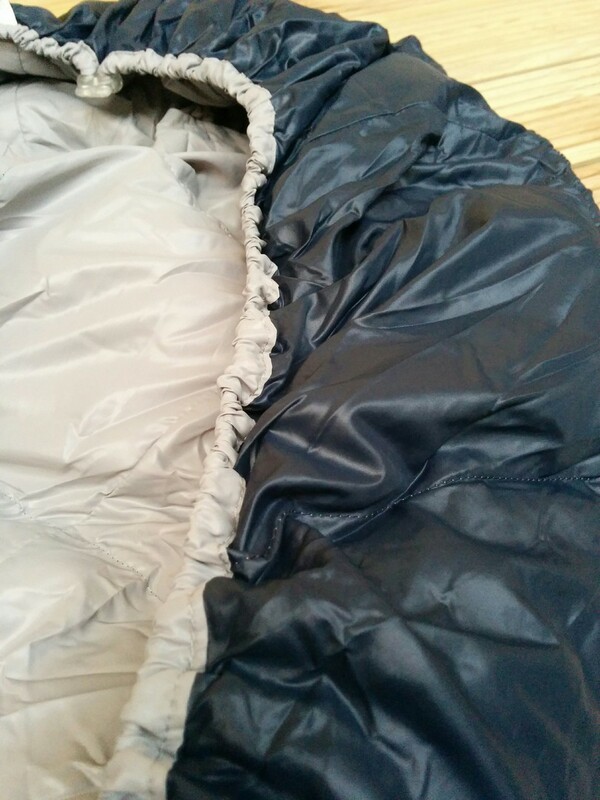 Despite its lightweight nature the Cygnet Cover is water repellent and wind resistant, with an ultra-soft premium poly insulation to keep the heat in and the cold out. 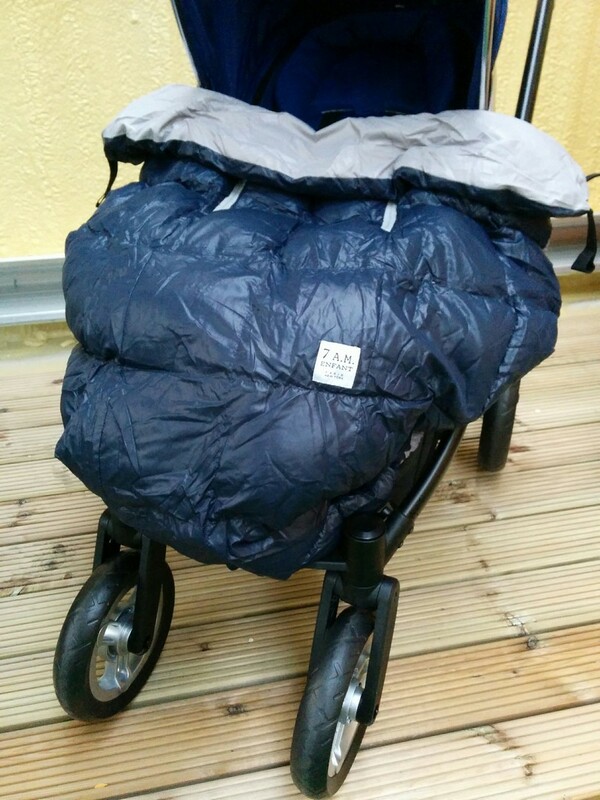 As such we found this was great during the winter months provided our little one was suitably bundled up underneath and we can continue to use this during the transition into spring whilst slowing adjusting baby’s clothing underneath for the warmer weather. 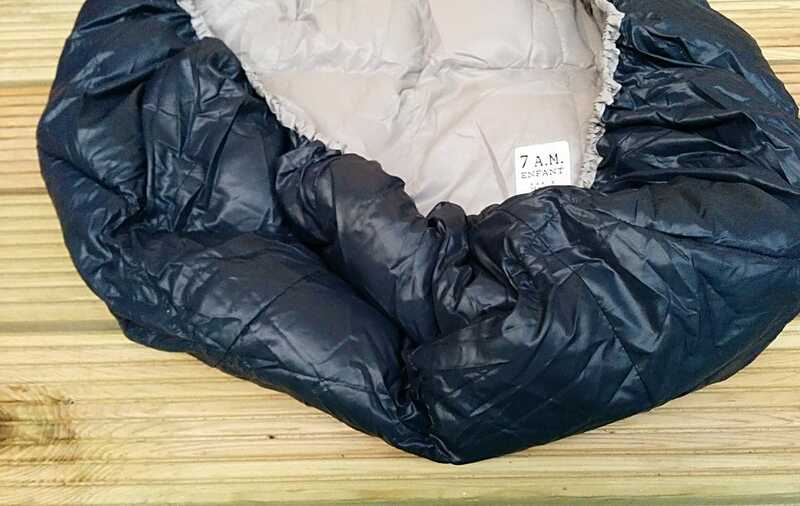 The zippered openings on the Cygnet Cover were a feature that we didn’t think we would use that much to begin with but we found when using as a carrier cover it was great to be about to connect with baby and bond by holding them through the zippers (and it kept our hands toasty too!). The zippered openings were equally useful for our little one when we were out and about with our stroller as they could easily pop their arms out if they wanted to touch or hold something or simply if the weather brightened up. We love that the Cygnet Cover is a one size piece as we didn’t have to size up our little lady and debate the merits of buying a size to fit perfectly now or one that would last but would be a little too roomy to begin with! 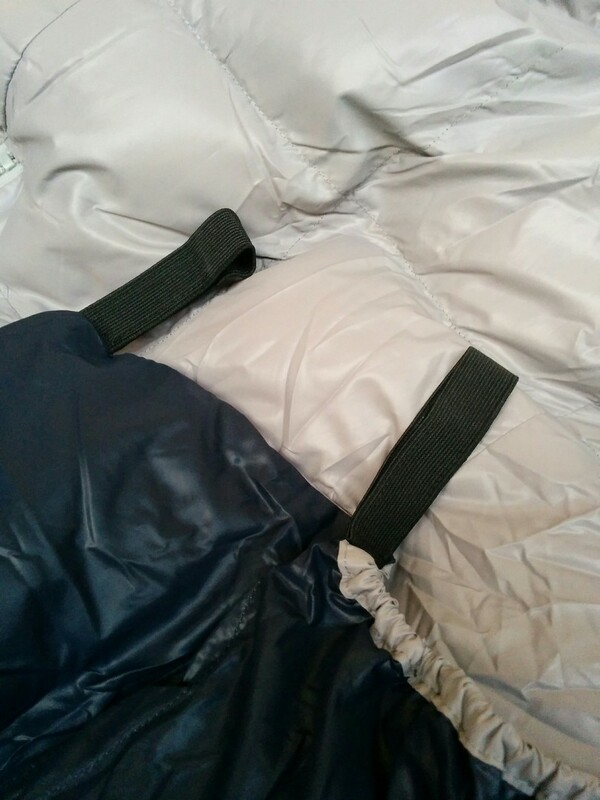 On top of that the Cygnet Cover has an adjustable drawstring that is adaptable depending on the age, and more importantly size, of your child. This means it will continue to grow with your family and makes this a great investment that will last for some time to come – all at a reasonable price point (from £50.00). In the UK, the current colour range includes Black/Grey or the Grey/Midnight Blue colourway which we chose as this reversible two-tone cover goes with everything. We were super impressed with the packaging when it turned up as it came looking beautiful and compact in a small zippered silky pouch – not only did this make a great first impression, it’s the perfect storage option when you’re not using the cover. We think that no matter the season you can’t let the weather stop you and the Cygnet Cover can easily come with you everywhere, in your stroller storage basket, so you’re prepared for anything! This 3-in-1 cover provides so many options no matter the season or the weather and we can see it being used on a blustery winter’s day or during a rain shower in the summer. Lightweight, with a silky outer shell it’s the perfect cover to have out and about during the warmer months but with it’s ultra-soft premium poly insulation it can also keep your little one cosy and comforted in the colder weather. The Cygnet Cover is one size and machine washable so we can see this being our go-to cover for many years to come. Prices found as of February 2016.